Many honors professionals struggle to balance their primary goal of providing a strong, cohesive honors curriculum across all four years with the often liberal policies of their universities in granting credit for AP and IB courses that may replace essential honors courses. The problem is especially acute during the first two years and “often leaves honors programs scampering to find strategies for a robust experience in the early years of an honors education,” according to an interesting article in the Journal of the National Collegiate Honors Council. Honors programs have responded in several ways, making it important for parents and prospective students to research the individual policies of the universities and honors programs if obtaining credit for AP and IB achievement is important, as it typically is. The article, “The Role of Advanced Placement Credit in Honors Education,” was written by Maureen H. Kelleher, Lauren C. Pouchak, and Melissa L. Lulay, all affiliated at the time with the Northeastern University Honors Program. Students also use the credits to reduce their semester loads while pursuing a thesis or other demanding course work, or as a replacement for a dropped course. Diversification of courses, so that lower-divisions courses are so distinctive that “AP doesn’t line up with what goes on in the classroom.” This may also take the form of developing more honors courses specific to the major that are beyond the general education requirements. Refuse to count AP credit at all for honors courses. 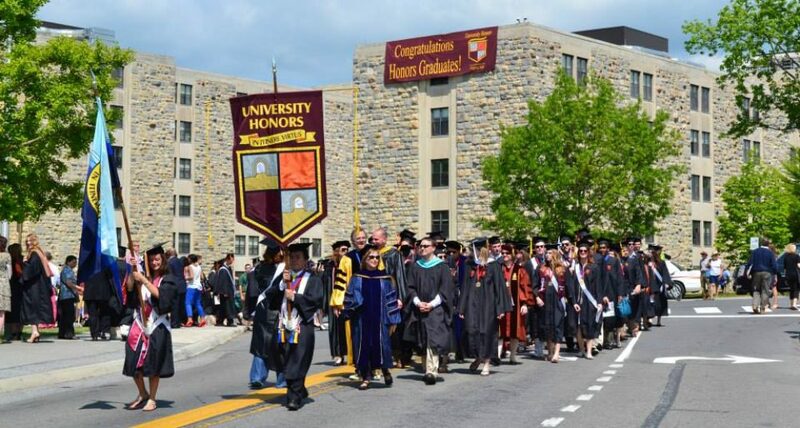 The article quotes an honors dean: “We do not give honors credit for high school work.” The students would receive elective or non-honors credit, however, in accordance with university policy. Allow AP credit for honors courses that count as general education courses, but do not allow AP credit for honors courses above that level. After earning AP or IB credit, many students want to jump into advanced work in the major at once. The problem with this is that it may foreclose on other options that the student may have discovered by participating in the broader, more interdisciplinary curriculum. This results in a phenomenon which the researchers call “narrowing.” They argue that some students focused on entering their major quickly face an “existential crisis” by the third year. “They have met all the requirements of their major and have no idea what other courses might also interest them,” and they feel odd, as juniors or seniors, about the idea of “shopping around” among entry-level courses. Further complicating the matter is that AP courses, even if credit is earned, do not always provide the same rigorous preparation as the honors course would do, especially in the more selective and demanding honors programs.